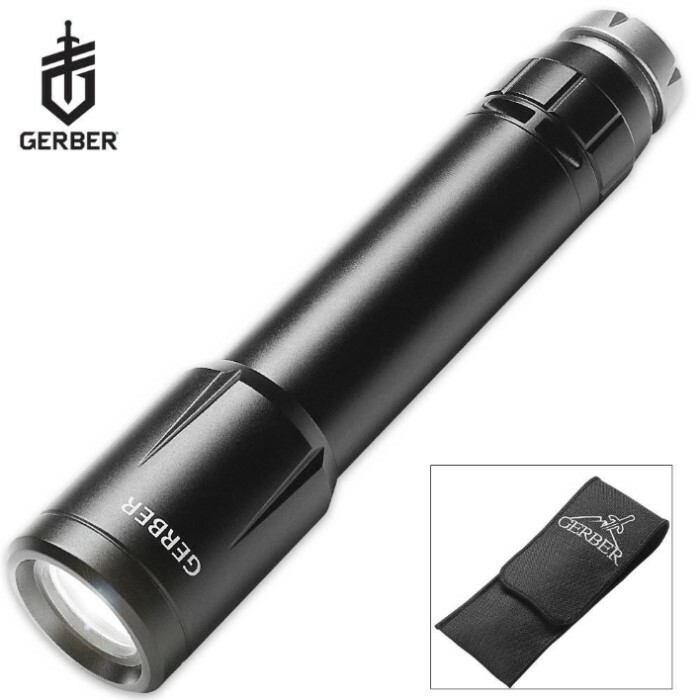 Gerber Option 50 Flashlight | BUDK.com - Knives & Swords At The Lowest Prices! Gerber designs tools, knives and outdoor gear that are essential, not only for the task at hand, but for bringing back something lost, self-reliance. The Option 50 packs all the same benefits as it&apos;s more powerful sibling, beaming out 50 lumens. This flashlight operates on any one of three battery types (AA, AAA or CR123) and is durable enough for the toolbox. This durable flashlight shines bright. A tail-cap switch makes it handy for use with just one hand. Battery included. This flashlight features Gerber&apos;s Limited Lifetime Warranty.